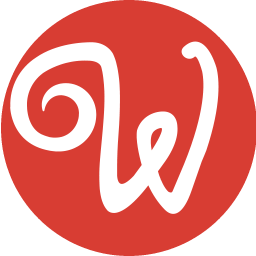 With the API Connector in Wappler, you have gained a lot of power to directly connect to API’s and fetch data or call their actions. In this article you will learn when to use the different API components and how. 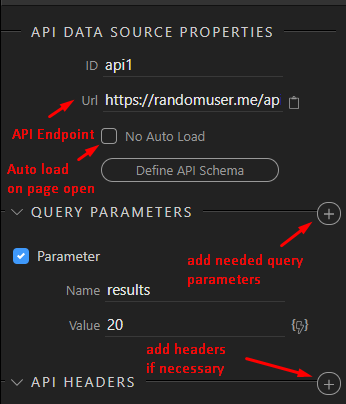 The API Data Source is the most simple component but powerful API component and gives you a way to fetch data from the API so you can use it on your page as dynamic data. The API Data Source is always executed as an API Fetch with method GET - so it just gets its data. The primary usage of the API Data Source is accessing public data sources that do not require authentication. 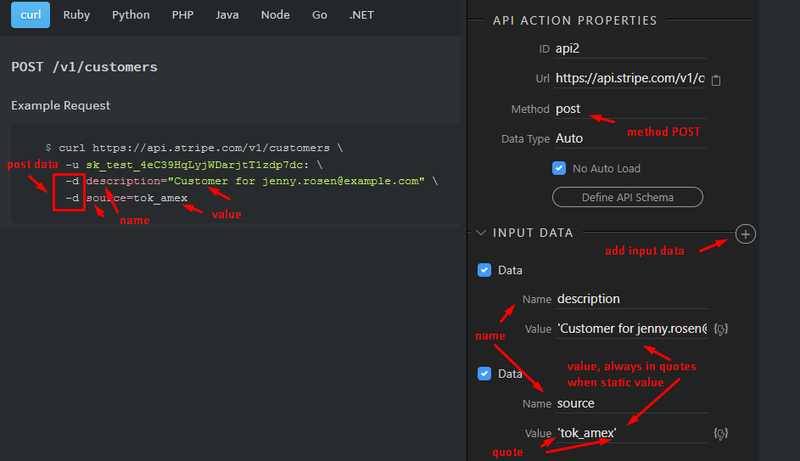 The API Action is similar to the API Data Source, but instead of just fetching data it allows you to also post data to the API, so some Action gets executed. 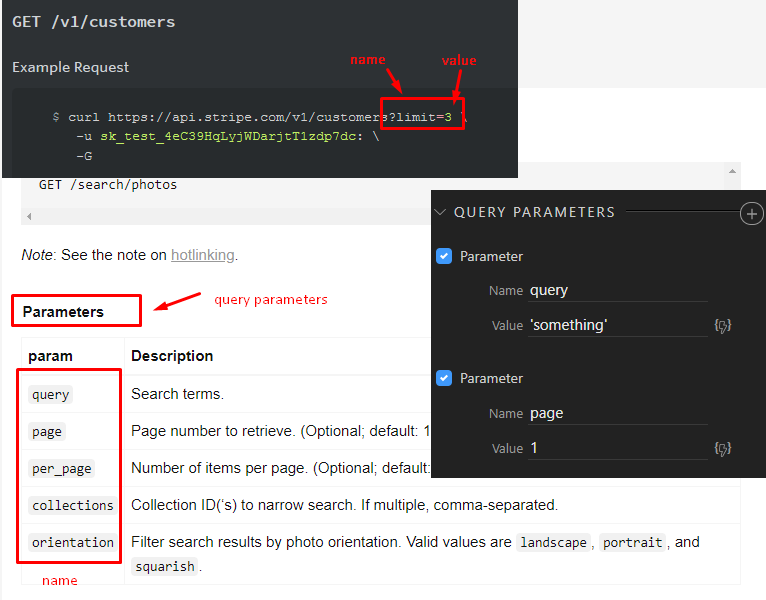 This can very from retrieving specific data, saving data to the API and calling some specific actions. In the most API Docs you will see examples of using with CURL. Those can be easily translated to Wappler. Most of the APIs are public but might require an API key or basic authentication. WARNING WARNING WARNING: API Connector is client side only and runs in the browser! The API key or Authentication you use will be easily visible to the user! So you should only use limited API keys for public sites or make sure your site is absolutely secured for restricted use only. For example using the Security Provider Enforcer. Basic Authentication with Username and Password. This is the most common authentication that requires username and optional password. Usually the APIs issue an API key that you can use as username without password. Not advisable to use, if possible use the other methods below. The last API component is the API form component. 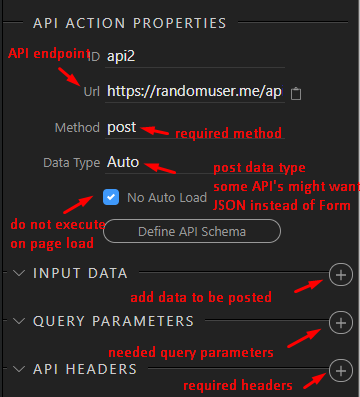 It is actually identical in options to the API Action, but instead of specifying its input data, you can add to a form so the form is submitted with its data straight to the API endpoint. This is very useful for login forms or other forms that require the user to enter some input values and then you want to submit them directly to the API. 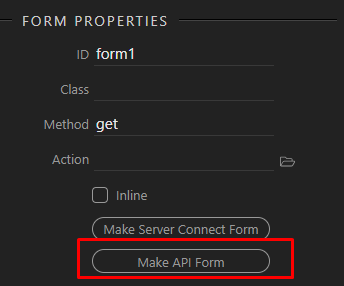 Another advantage of having an API form is that you can apply form input validation first, before submitting, so that you can make sure the user enters the right input. That concludes our introduction to the API Connector. Hopefully you understand its rich options now and can make this awesome API connected solutions! Finally that documentation was needed! Thank you again good work! Thanks but this needs more detail particularly with API Actions. 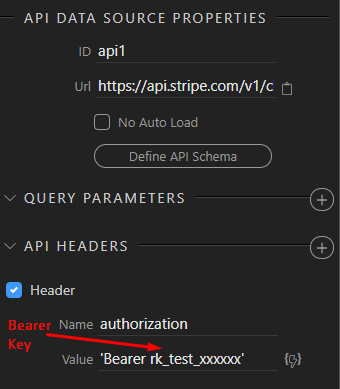 How is the “Define API Schema” supposed to be used? If I enter any details and press save then come back into it nothing is saved. How do I use the returned values / data from the API Action? I need to call an API to get a session key that I then need to use in future calls. I thought I might be able to use the API Actions, API Data and Forms but it seems it would be much easier for me to send the form data to a php processing page that does all this using normal PHP.